Winter time is the perfect time to have studio photos taken. As a RI family photographer, I’ve always loved studio sessions. This winter, I’m offering fine art studio portrait sessions for children at my Charlestown studio. 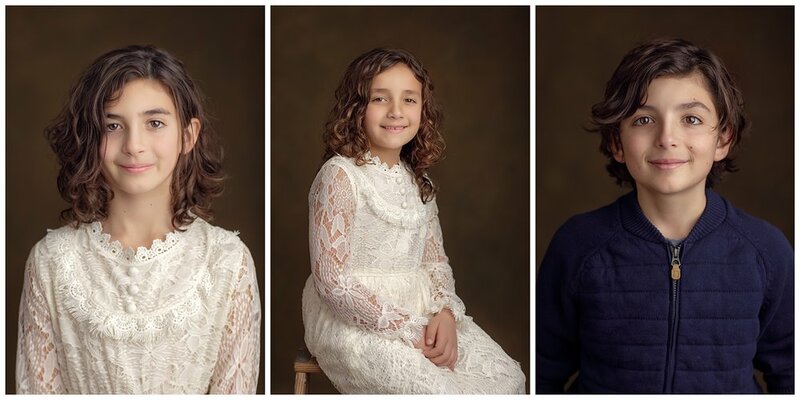 These are styled sessions for individual children or siblings that have a classic look and result in beautiful portraits that will be appreciated and treasured forever. Large prints from these sessions make beautiful statement pieces on your walls. They definitely stand apart from school photos! We got some really great photos of all three of them plus some photos of the siblings together. They all did an amazing job in front of the lens; check out their photos below. In order to book your own fine art studio session for your children, get in touch with me.